As Hallowe'en draws closer Captain Purky has recruited a crew of the dark and curious. 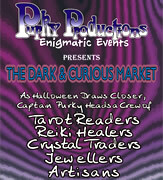 Tarot readers, reiki healers, jewellers, artisans and more will be awaiting you for a day of mysticism and entertainment. 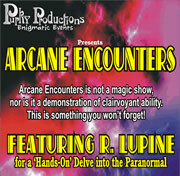 Get Ready for an Arcane Encounter! The Grand Purky Tea Party! Captain Purky has returned with another fabulous free event at the Cat Café this Sunday, 26th August. Skilled artisans, free entertainment from local talent and amazing food in the heart of Wincanton. On the 1st of April, Purky Products is hosting a party at the Cat Café in Wincanton, find out more about this young jewellery designer and the local talented people he is bringing together.